A property gate is a symbol of privacy and security. It is not only supposed to protect what is on the inside but to ward off any intruder who has any intentions of getting in without permission. For many years now, automated gates have been synonymous with luxury. Automated iron gates of various sizes are often depicted in movies and are only seen adorning the driveways of large houses. But times have changed, and automated gates are not exclusive to the rich anymore. Anyone who is looking to reinforce home security can opt for an automatic gate instead of one that opens manually. Here are some of the frequently asked questions about automated gates. Do you need a gate for your property? Before deciding whether or not an automated gate is a suitable option, you need to determine why you need a gate in the first place. Gates and fences may be considered as a low-level form of security, but they provide a barrier between your property and the outside, nonetheless. If you have young children, for example, having a gate prevents them from accidentally running outside and ending up in the street. A gate and a perimeter fence also serve as a warning for intruders and other unwelcome individuals to stay out of your property. Why choose an automated gate? The problem with a manual gate is that more often than not, the homeowner will tend to keep it unlocked to avoid the inconvenience of having to open it each time they need to enter or exit the property. This habit defeats the purpose of having a gate for security. 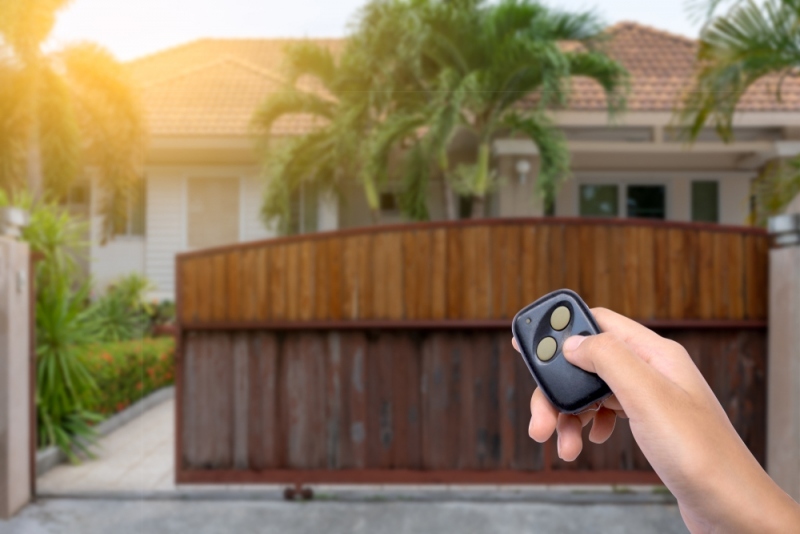 If you have an automated gate, remote operation not only enhances safety but also adds to the convenience of accessing your driveway without getting in and out of the car to open it. Imagine if you have to get out of your vehicle while it is raining heavily to open a gate! Thus installing one that is automated makes it much easier on your part. Will an automated gate require a lot of power? An automated gate does not use much electricity to operate. You can connect the electric system for the gateway to your home’s power supply, but make sure that the installation is done by an experienced and competent professional. Are there different types of operating systems? There are two general operating systems used for automated gates – hydraulic and electro-mechanical. Hydraulic systems have better wind-resistance and tend to be quieter, but are also more expensive. But if your property is not in an area where wind-resistance is a concern or if you don’t mind the sound of your gate opening and closing, an electro-mechanical system is the more economical choice. What are the different access controls available? Perhaps the most fun part is choosing an access control system for an automated gate. If you want something modern, you can opt for video access control where you can speak to the visitor before allowing access to your property. There are a variety of other options such as fingerprint recognition, digital keypads, and push buttons.